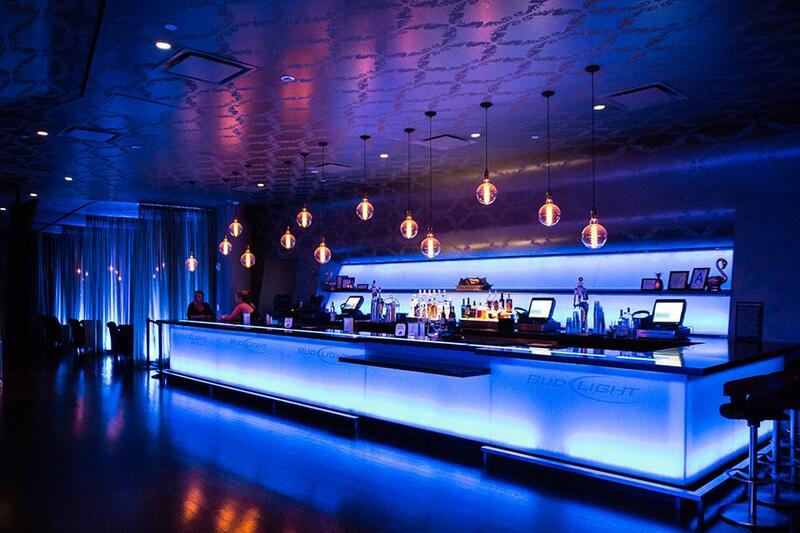 Rent The NOVO VIP Lounge - AEG Presents | Corporate Events | Wedding Locations, Event Spaces and Party Venues. Whether you are hosting 20 or 350, The Novo's VIP Lounge provides an energetic yet intimate space for receptions, meetings, networking and other special events. Offering expert event staff, this venue in the heart of downtown is sure to make your event shine. The Novo VIP Lounge features: (350) Standing Capacity, (150) Seated Reception Capacity, State-of-the-Art Sound and Lighting, Lounge furniture, (7) Cabanas, Private Restrooms, XM Radio, (8) Flat Screen Monitors, Private VIP Entrance, Private Smoking Patio with City views, and Exclusive catering by Wolfgang Puck. Rental Fees are to be determined based on the date and availability. Rental Fees do not include expenses, which are always negotiable and flexible based on event needs and the booking window. All rentals include: State-of-the-Art Sound + Lights, Lounge Furniture, and XM Radio. Our house is non-union so once we know what your program is our Production Director and Director of Operations can estimate Labor expenses.